Vice President Pence says he stands by President Trump’s remarks regarding the recent violence in Virginia. 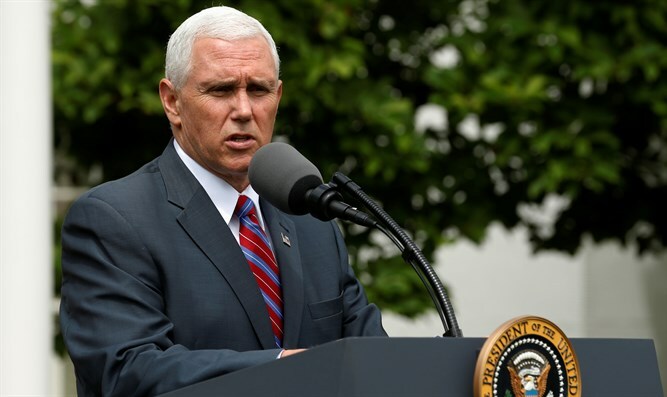 U.S. Vice President Mike Pence on Wednesday said he stands by President Donald Trump’s remarks a day earlier, in which he said both sides were to blame for the violence in Charlottesville, Virginia, last week. “What happened in Charlottesville was a tragedy, and the president has been clear on this tragedy and so have I,” Pence told reporters on Wednesday, according to The Hill. “I spoke at length about this heartbreaking situation on Sunday night in Colombia, and I stand with the president and I stand by those words,” he added. On Tuesday, Trump pointed out in a press conference that protesters on the left violently attacked white nationalists rallying against a decision to remove a Confederate statue. Trump was sharply criticized for his initial comments blaming "many sides" for the violence in Charlottesville. "The statement I made on Saturday, the first statement, was a fine statement, but you don't make statements that direct unless you know the fact. It takes a little while to get the facts. You still don't know the facts,” he said on Tuesday. "They came at each other with clubs ... it was a horrible thing to watch," Trump said, adding that left-wing protesters "came violently attacking the other group." “You had a group one side that was bad and you had a group on the other side that was also very violent, and nobody wants to say that but I’ll say it right now,” he stressed. Pence said on Wednesday that his family is praying for Heather Heyer, the 32-year-old woman who was killed in Charlottesville, and for the country. Heyer was killed when 20-year-old James Alex Fields Jr. allegedly drove his car into a crowd of counter-protesters.